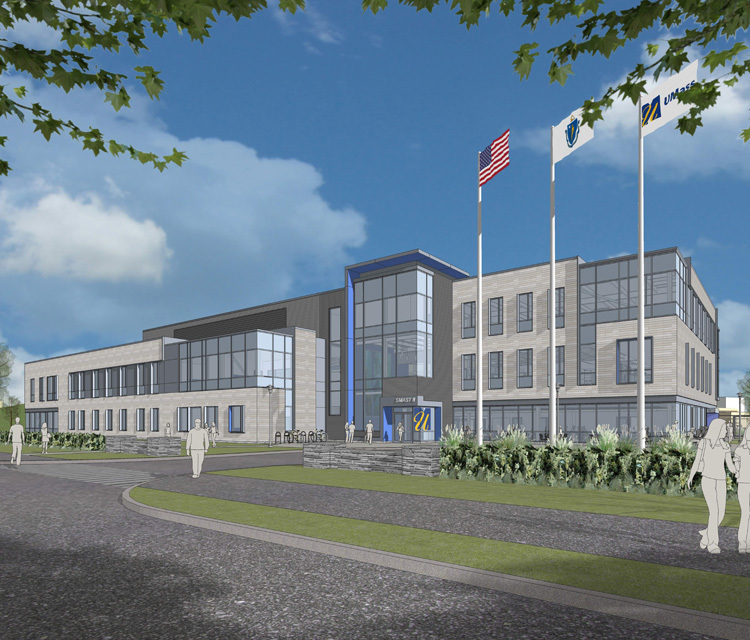 (Boston, MA) – BOND, the Northeast’s premier full-service construction management and general contracting company, recently celebrated the groundbreaking of a new School for Marine Science and Technology (SMAST), located in New Bedford, Massachusetts, for the University of Massachusetts Dartmouth. SMAST offers the largest marine science program in the UMass system. BOND is providing preconstruction and construction management services for the project, working in conjunction with architect, Ellenzweig, and project manager, Hill International. The facility will include a new 76,000 square foot building with state of the art laboratory facilities, high bay area and seawater research facility, as well as select renovations to the existing SMAST facility next door. The project includes space for the Division of Marine Fisheries and dive gear program to be accommodated in both buildings. The expanded facility will result in a comprehensive marine science campus in New Bedford, which is one of top fishing ports in the country. Located on the former Naval Reserve Center on Rodney French Boulevard, the new building will bring the school and the state Division of Marine fisheries together to engage in education, research and policy related to commercial fishing, coastal preservation, ocean observation and climate change.